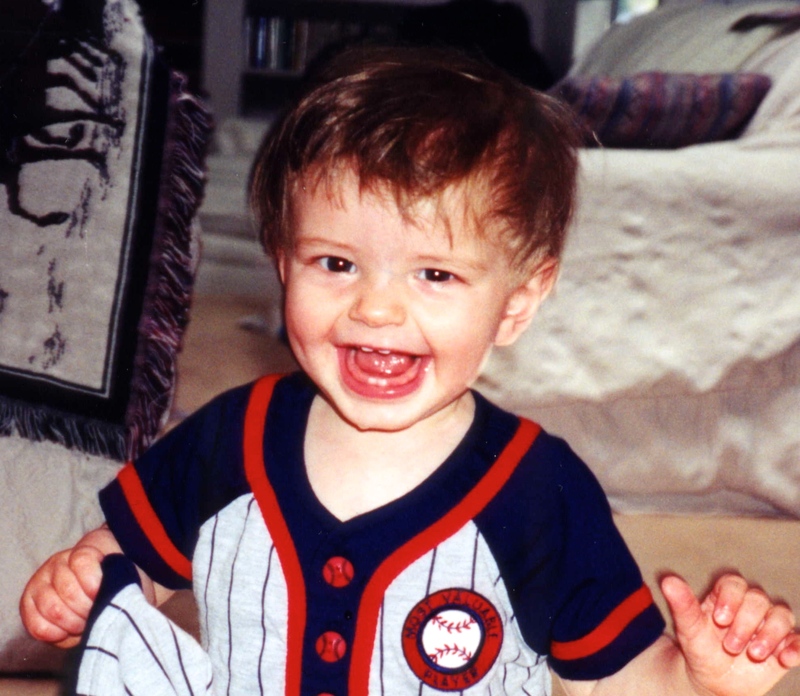 My oldest son as an infant and toddler was a very happy boy. Always laughing, playing and making jokes. He charmed everyone he met and my husband and I were told by several complete strangers that he was “too happy”. How can a child be too happy? As he grew older, he would often complain about his stomach hurting, usually after eating a meal. He liked to eat macaroni and cheese, grilled cheese sandwiches and quesadillas. He also loved popcorn and tortilla chips as snacks. I usually dismissed his complaints as a need for him to use the bathroom and didn’t give it a lot of thought, but I did try to pay attention to what foods he ate to see if any resulted in him feeling pain. I didn’t keep a food log for him, although perhaps I should have. I did know he had an intolerance for lactose, but I gave him supposedly lactose-free milk and the stomach pain often didn’t seem to be associated with dairy. The years went by and slowly my happy, confident son started to turn into an introverted and sad boy. By the time he was in 5th grade he was always upset, usually with himself for no reason that I could fathom. He would frequently cry himself to sleep, be over-the-top worried about upcoming tests in school and not want to participate in many family activities. He was fearful of houses on hills and anxious in social settings. He had immense trouble making decisions. My very intelligent son was also getting poor grades in school. At the age of 9 he told me he thought he had depression, and I found myself agreeing with him. The first thing I did as a mother was to reach out to our school district’s nurse, his pediatrician, our health insurance company and local therapists who treated pediatric patients. I was told that it was very difficult to find treatment for a child so young who also didn’t have behavioral problems. I felt very helpless trying to find any assistance for my son, as none seemed to be available. I wonder, given my experience, why I didn’t think his condition was due to an allergy for the better part of a year. I still carry that guilt that the possibility didn’t occur to me sooner. So once I realized that my son might have a food allergy or sensitivity, I quickly took action. It was ok for me to try alternative medicine, but I wanted to be sure he really was allergic to any food allergens by taking him to be screened by an allergist. It was difficult, but my son was tested for 72 different food allergens that day. The results were conclusive. He was allergic to oranges, apples, shrimp, almonds, scallops and CORN. He loved eating tangerines by the bag and scarfed down substantial amounts of corn in its varying forms. The aforementioned popcorn and tortillas chips, as well as fresh corn. I immediately removed all of these foods from his diet, but I was especially concerned about the corn. It’s in almost all processed foods so I had to learn how to feed my family without corn. None of his reactions were severe, and I remember the doctor saying something like “It shouldn’t hurt him to eat these foods once in a while” but after all the research I had done, I knew better. I also did a bit of searching on the web that day for children with corn allergies. I came across one very useful blog by Jenny Conners that mentions children with corn allergies as sometimes being moody. That opened my eyes and helped validate what corn was doing to my son. And all that cheese he was eating in addition to the corn? Cornallergygirl posts in her blog that corn is used extensively in the production of most cheeses in this country. Two weeks. Two weeks without corn. In two weeks, my son stopped crying and I saw him smile again for the first time in months. He laughed again and slowly started to regain some confidence in himself. In two weeks he was back to getting A’s and B’s in school. All without any drugs or therapy. All because of corn, food that is supposed to be healthy to eat. When I discussed my son’s symptoms with his health care professionals and the reversal of his depression, the most common response I received was that of course he wasn’t depressed anymore since he felt better from not eating the foods that were causing him stomach pain. No. It was definitely more than that. He felt depressed even without stomach pain. His stomach pain was transitory, not constant, unlike his depression, which was always with him. Even now, years later, if my son eats corn or something with certain corn products, he will become depressed and find the most mildly stressful things like school assignments completely overwhelming. He will have trouble sleeping and even have thoughts of hurting himself. He will think he’s not deserving of good things in his life. These negative feelings always go away within a few days. So there is the story of my son’s childhood depression. Based on my article research, I believe his allergy to corn caused chronic inflammation which depleted his blood serum tryptophan to such low levels as to affect his CNS serotonin production, thus leading to depression. For me, I experienced this through an intolerance to wheat. It could be another food for someone else. If the allergic or sensitivity response is low, it make take months or years to manifest and the symptoms could be vague and not classic allergic reposes such as itching, rash, hives, swelling and trouble breathing. The symptoms could be fatigue, brain fog, dizziness, vertigo, IBS, anxiety and depression. There are some researchers who are studying the link between other types of allergies like airborne allergies to depression. I would like to cover that topic in a future post. Thank you so much for this! I was wondering if corn might have something to do with my own depression. I had already given up gluten, dairy, soy and have very little sugar. Due to that, I realized that I am consuming a lot more corn based foods. I am going to try staying away from the corn and see what happens. Your blog was encouraging to me. Thank you again for sharing this!! Lynn, I am so happy that my little blog may have helped you. I hope corn is the answer but if it’s not, it could be something else. Please keep me updated! Absolutely! I’m so glad I could help out with this. I need to look into whether there is something in the corn that can cause depression or it’s a response to an allergy to corn or both. I just know that within hours of eating corn, my son will become very depressed. I came across this blog article recently and was stunned by her story. I thought that perhaps others might benefit from her sharing of how corn affects her son. Corn is everywhere. You have to go to great lengths to avoid it as it is in just about everything for sale in a store. From pop to chickens, chocolate bars to french fries, it is shocking where manufactures have used it. Is corn something we should avoid? Read this article for some food for thought. Hi there. Thank you south for your post. I’m wondering if you could give an update. I think my daughter is having the same issue with depression. Much appreciated. desperate for a solution for her. First, I hope your daughter is receiving help from a trained professional as I am not an expert on depression except as it pertains to myself and my son. If you believe it’s food related, I would take her in to be tested for food allergies and eliminate any food she can’t tolerate. If she isn’t allergic to any foods, and you still believe it’s food related, try keeping a food journal with what she eats and her symptoms and see if you can find any correlation. Other causes of depression could possibly be nasal allergies too, of which I was going to do a post on the work of Dr. Teodor Postolache in regards to that subject. I have also had good results with a Paleo or ancestral diet. Also, Dr. Emily Deans has a blog, http://evolutionarypsychiatry.blogspot.com, that echoes much of what I’ve learned these past few years. Hi Ami, thanks so much for your response! I’m so sorry it’s taken my this long to respond. I haven’t been active with my blog and am just really getting going. Corn has an affect on me like no other food. I could be in an ok mood for the longest time and then have a bag of popcorn and have the WORST depression! Constant thoughts that there is no hope, and normally I am not that kind of person. I took a food sensitivity test and corn didn’t come up high. I think there are other things in corn that put me in a major depressed state. Thanks for your comment! My son’s skin test to corn came up as a “2”, not very high. The allergist made a comment that he could “occasionally” eat corn and be fine. It’s possible that whatever is in corn is causing a much greater reaction systemically that shows up minimally in a localized test. It’s something to look into, for sure. I have been wondering if there is any correlation to blood type. My Partner who has the reaction to corn and gets depressed, no hope, etc, is a B+. I have no reaction to it and I’m an O+. And, just to clarify, we’ve also eaten heritage, organic popcorn and had problems. That’s what put us onto it as we had eliminated grains for a bit but thought a little of that kind of popcorn ought to be okay. Not so. Ami, do you know your son’s blood type? Also, Joleen, do you know yours? We now strive very hard to avoid corn and all the things made from it like HFCS, dextrose, etc…. We now ask what french fries are fried in (often corn oil) and read labels like crazy. The change in my Partner since removing corn is pretty amazing. Hope returned. A future returned. Grumpiness way less. We’re still sorting out a few things but this has helped immensely. …or seems to have. We’re happy with things. That’s for sure! Thank you and big hugs to you! I was a Skittles fiend and found myself gobbling it up like crazy–only to become suicidal and depressed! I recently discovered I have corn allergies and surprise, surprise, Skittles have corn sweeteners in them…coincidence??? We need more ppl talking about this kind of stuff.